(New York) – July, 2013. 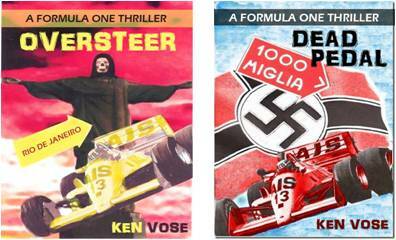 Northampton House Press has re-released the Pete Hawthorn Formula One series of racing thrillers, by former racing driver Ken Vose, for Nook, Kobo, Kindle, iPads, and other e-reading formats. Oversteer takes the reader into the glamorous and high-risk world of international Formula One racing. When driver Pete Hawthorn goes to Rio for the Brazilian Grand Prix, he sets in motion a chain of events that will solve a decades-old mystery: the disappearance of his father in the Brazilian jungle during the 1970 World Cup Rally. Dead Pedal is the sequel to Hawthorn’s Brazilian adventure. When three members of an exclusive racing society fall victim to a mysterious killer, questions arise as to whether their deaths were related to racing or to their wartime involvement with the WWII anti-Nazi resistance in France. The answer lies somewhere along the tortuous 1000 mile route of Italy’s famed Mille Miglia. Ken Vose spent twenty years in the film and television industry as an editor, producer, writer and director. His screenwriting credits include Greased Lightning starring Richard Pryor as NASCAR race driver Wendell Scott. Vose, who resides in rural Pennsylvania, is currently at work on the third book in the series. Boost will take Hawthorn to the fastest racecourse on the planet – the Bonneville Salt Flats – to investigate the suspicious death of a fellow driver who crashed during a practice run for an attempt to set a new World Land Speed Record. Northampton House LLC publishes carefully selected fiction – historical, romance, thrillers, fantasy – and lifestyle nonfiction, memoir, and poetry. Its mission is to discover great new writers and give them a chance to springboard into fame. Watch the Northampton House list at www.northampton-house.com and Like them on Facebook – “Northampton House” – to discover more innovative works from brilliant new writers. For more information about Ken Vose and his other works, visit his website at http://kenvose.com/. For more info: (570-685-7428). Wilkes faculty Susan Cartsonis, along with director Susan Johnson and producer Suzanne Farwell, have recently achieved success utilizing Kickstarter to fundraise. The team set a goal of more than $50,000 to be raised between Jun 18, 2013 – Jul 13, 2013. The goal was met two days prior to their deadline and funds continued to roll in for the final weekend. The creative team was raising funds to adapt the novel Carrie Pilby by Caren Lissner into a script. Carrie Pilby was among the first novels published by the Red Dress Ink imprint. In its first print run, the book sold more than 50,000 copies and was subsequently reprinted and published under various other imprints to keep up with international demand. 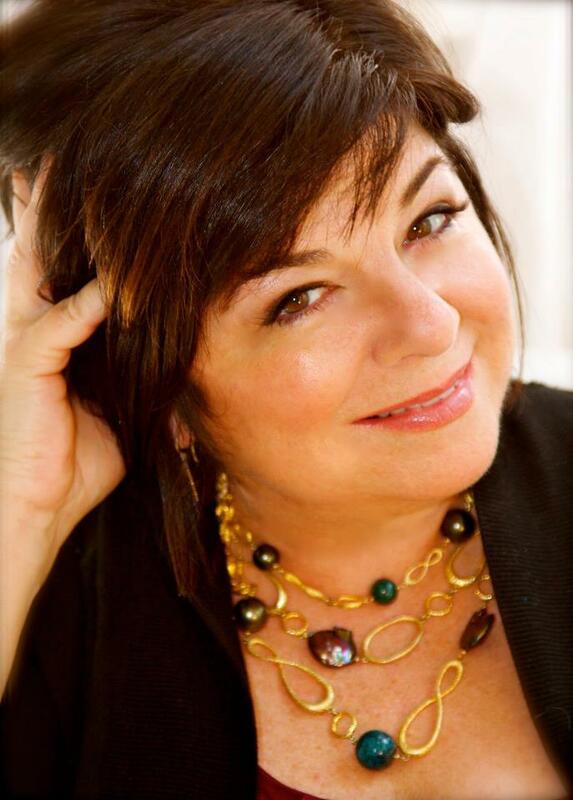 Susan Cartsonis, a member of the Wilkes film faculty, is known for What Women Want, Beastly, Where the Heart Is, and No Reservations. 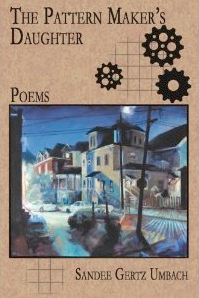 Alum Sandee Gertz Umbach recently took 2nd place in the Working Class Studies Association’s national “Tillie Olsen” Award for Creative Writing for her published book of poetry, The Pattern Maker’s Daughter. M.A. alum Todd McClimans has recently been honored with national recognition for his creative work. While in the program, McClimans worked with Lenore Hart and David Poyer on his alternate-history middle grade manuscript, Time Traitor. The manuscript has been declared one of five finalists in the 2013 National Association of Elementary School Principals Children’s Book Award competition.